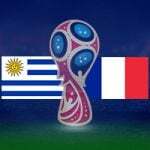 For the match – Argentina vs Croatia. For the match – Nigeria vs Iceland. Croatia have endured a topsy-turvy few years and a small section of fans still aren’t completely convinced by their squad. Luka Modric is clearly their standout star but he isn’t terribly popular in Croatia and questions remain over his motivation. They always just do enough to get over the line but it’s a dangerous tactic and, in a competitive-looking Group D, it may come back to haunt them. As an independent nation, they’ve qualified for five World Cups and reached the semi-finals in 1998 but haven’t been able to replicate that progress since. They were eliminated in the group stage in 2014 after suffering defeats to Brazil and Mexico and some fans have become disgruntled by their lack of progress on the biggest stage. Nigeria have an exceptionally young group of players and they look full of potential. Many of their squad have yet to fully deliver domestically but they eased through a tough-looking African qualifying group and there is plenty of harmony within the camp. This is their sixth World Cup and the Super Eagles are regulars at this stage of the competition. They were just minutes away from reaching the quarter-finals in 1994 and will be hoping to replicate that progress in Russia. Fans had been worried about the possibility of Wilfred Ndidi missing the tournament through injury but his recovery is “faster than expected” and he should play an important role. Croatia are play-off specialists and were involved in a straight shoot-out with Greece. They easily confirmed their place in Russia with a 4-1 aggregate victory. They finished behind Iceland in the qualifying group, a side who have been drawn alongside them in Group D. Their results in International Friendlies have been mixed with a 1-0 success over Mexico which followed a disappointing 2-0 loss to Peru four days earlier. Mario Mandzukic is always a handful, Ivan Rakatic is an extremely dependable operator and newcomer Nikola Vlasic is an exciting addition. Zlatko Dalic has stepped up to manage the team and he has plenty of experience of coaching the Under-21s. Nigeria have plenty of talent going forward but questions remain about their defensive set-up. Leon Balogun is the most experienced of the back four and they’ll be relying on his leadership throughout the tournament. Their final fixture is against Argentina on June 26th and Gernot Rohr will surely be outlining the importance of picking up points in their opening Group D encounter. The likes of Alex Iwobi, Kelechi Iheanacho and Moses Simon are hugely talented but unpredictable whilst Victor Moses will be tasked with supplying ammunition from wide areas. 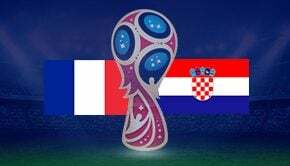 Croatia won their only previous World Cup encounter with an African side when they put four past Cameroon in 2014 and, despite their troubles during qualifying, they should possess far too much quality for a young Nigeria side. Their opponents will cause them problems but Zlatko Dalic’s side should begin the tournament with three points. William Hill have priced up Croatia at 4/5 to get off to a winning start and that looks like a decent price. They have been drawn alongside Brazil during their last two tournaments and faced the Selecao in their opening fixture on both occasions; this should be significantly easier. They aren’t going to have it all their own way in this fixture and, for those punters who are hunting for more value, Croatia to Win by a 1 Goal Margin can be backed at 11/5 with 10 Bet and looks like a sensible way of betting. Nigeria do posses a threat going forward but they may find Croatia tough to break down. Milan Badelj is an exceptional player who does the dirty work and helps keep things ticking over. He could be key to ensuring Croatia keep a clean sheet here. They won six of their ten qualifiers without conceding and Both Teams to Score? No is priced at 11/14 with 888Sport. Croatia to Win to Nil will also be extremely popular, understandably so. It can be backed at 15/8 with Betfred. 1-0 and 2-0 Croatia are amongst the most popular correct score options and Croatia won five of their qualifiers by one of these two scorelines. They can be backed at 94/19 and 27/4 with 10 Bet respectively. Croatia have won seven matches at the World Cup; five of those arrived in 1998. Mario Mandzukic and Ivan Perisic are the joint second highest goalscorers for Croatia at the World Cup (two goals). Davor Suker won the Golden Boot in 1998. Croatia scored six times at the 2014 World Cup but failed to make it past the Group Stage. Croatia are 5/4 with William Hill to be eliminated in the group stage. Nigeria finished five points clear at the top of their qualifying group. 1994 was the first time that Nigeria have qualified for the World Cup. They reached the knock-out round in 1994 but lost in extra time to Italy. Croatia: Dominik Livaković, Šime Vrsaljko, Ivan Strinić, Ivan Perišić, Vedran Ćorluka, Dejan Lovren, Ivan Rakitić, Mateo Kovačić, Andrej Kramarić, Luka Modrić (captain), Marcelo Brozović, Lovre Kalinić, Tin Jedvaj, Filip Bradarić, Duje Ćaleta-Car, Nikola Kalinić, Mario Mandžukić, Ante Rebić, Milan Badelj, Marko Pjaca, Domagoj Vida, Josip Pivarić, Danijel Subašić.